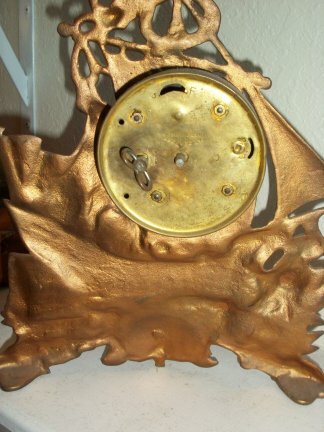 This is an iron clock with a 30 hour time only balance wheel movement. 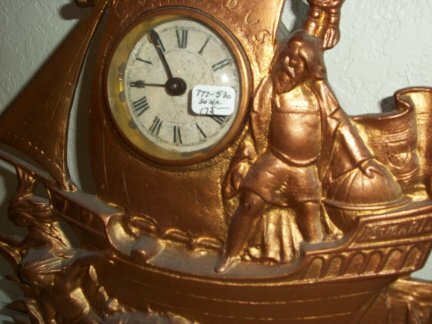 The theme of this clock is Columbus. 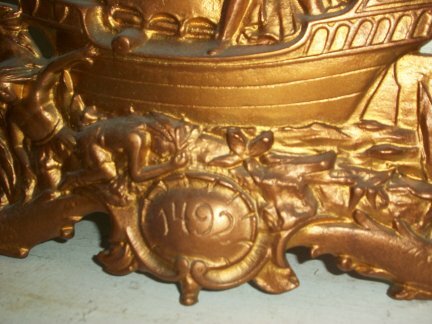 Close up view of the top of the clock. 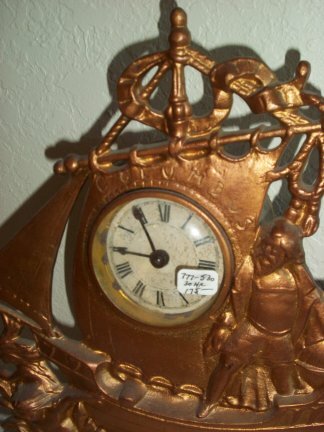 Middle of the clock with Columbus and the dial. 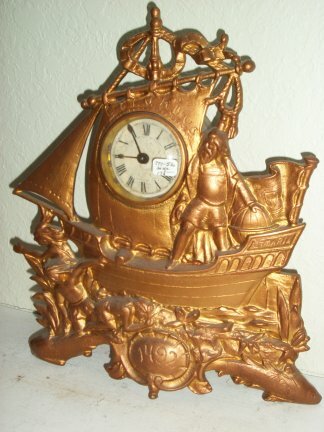 Bottom of the clock, lots of detail and 1492.